Today, more than 800 leaders from across the Western Hemisphere engaged in standing room only plenary sessions, bi-lateral meetings and panel discussions. 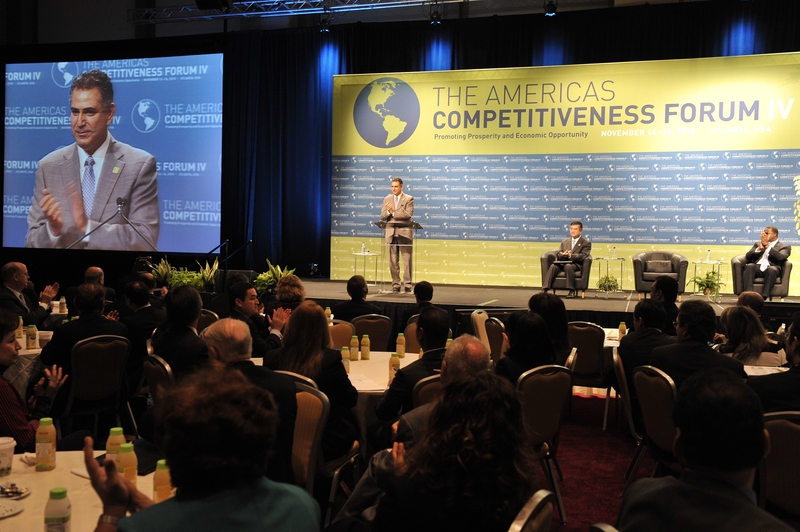 The Fourth Annual Americas Competitiveness Forum has delivered on its promise to promote global competitiveness across the region. The day began with an opening ceremony hosted by Secretary of Commerce Gary Locke and Atlanta Mayor Kasim Reed. Education was a common theme among all countries in attendance as we continue to work together to prepare our workforce. Bi-laterals followed including a CAFTA-DR meeting. While it has been a long day, the momentum is still high as we prepare for tonight’s official ACF dinner. I look forward to the new opportunities tomorrow’s ACF will bring.